Home » Columns » Nine unique Brand Ambassadors! A very unique event that took place in Namma Mysuru last Friday touched my heart very much and I’m sure it is going to touch yours too. Mi, a mobile phone company which hitherto used to sell all its products only online, launched a chain of thirteen retail showrooms across the length and breadth of our city. Although this launch was like the launch of any other new business venture, what set it apart was the fact that every one of those thirteen sales outlets were inaugurated not by any celebrities, business tycoons or political bigwigs but by nine visually challenged students! Every one of these humble brand ambassadors was escorted by the organisers and conveyed to and from the venues by cabs. But the assistance that they required or that was forced upon them was just minimal. Holding hands with one another, they walked across cobblestones and steps without faltering or stumbling, with the leading individual softly whispering warnings that were serially conveyed to the last in line! Perhaps out of sheer necessity they have developed such camaraderie and coordination that it can put to shame the lack of coordination that we the so-called normal human beings exhibit so often. The primary objective of the event was to deviate from the age-old tradition of inviting only famous personalities who naturally make an impact and help promote business with their image. The company instead wanted to honour and highlight people who are doing exceedingly well in their pursuits despite the hurdles they are facing. Why blind students, you may ask! The first week of April is ‘Blindness Prevention Awareness Week’ and so this coincidence was considered very apt! A tie-up was made with ‘Anuprayaas,’ an NGO that is working towards creating public spaces that are easy to access and easy to navigate through for people with visual impairment. Most of us may not know that ‘Anuprayaas’ has already worked on the Mysuru Railway Station which has now become the country’s first blind-friendly Railway Station. They have similarly worked on many schools and are currently involved in making many more Railway Stations across the country blind-friendly. Perhaps some of us too can join hands with them! Another unique effort at Suttur! It is a well-known fact that students who join new courses in new colleges often feel lost and anchor-less for many weeks or months. While there is nothing surprising about this transient experience it often leaves a good many of them feeling lost, home-sick and sometimes more than a little dejected and depressed too. This often sets many of them wondering whether they have made the correct choice in choosing to be where they stand now. To prevent their ‘freshers’ from feeling this emotional and psychological stress, the JSS Medical College since the past two years has been organising a very unique two-day programme called the ‘Medical Students’ Retreat’ at the very scenic and tranquil, riverside village of Suttur not too far from the city. It is needless to say that nothing could have been a better locale for the atmosphere and the environment matter a lot for this kind of an exercise. And, when we talk of exercise, this residential programme is an ideal mix of exercise for both the brain and the body. It includes early morning Meditation, Yoga and day-long sessions of lectures on time management, inter-personal relations, ethics in medical practice, medico-legal issues, leadership development, social service, spirituality and Indian culture. Last Saturday I had been invited there to speak on ‘The Past, the Present and the Future of Medical Practice,’ a very volatile topic from the standpoint of where we doctors stand today, surrounded by sharp contrasts, conflicting values and difficult choices. READ ALSO Insulin Users, Beware! I noticed from the programme sheet that some very notable individuals both from within the medical fraternity and outside it too had been invited as speakers and I’m sure they would have made a very good and lasting impact on the young and expectant minds of the budding doctors. 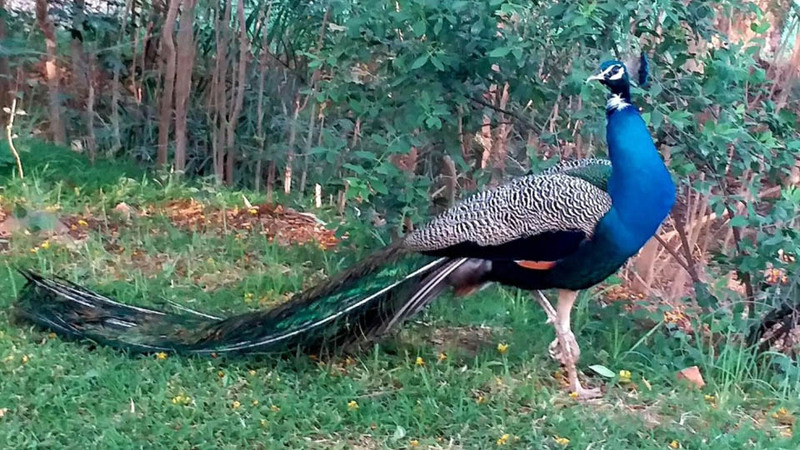 The Karanji Lake has always been a favourite feeding and nesting place in our city for birds of various kinds. Many peacocks too are found here although they are usually quite shy and elusive always being very wary of the humans who go there for relaxation or recreation. 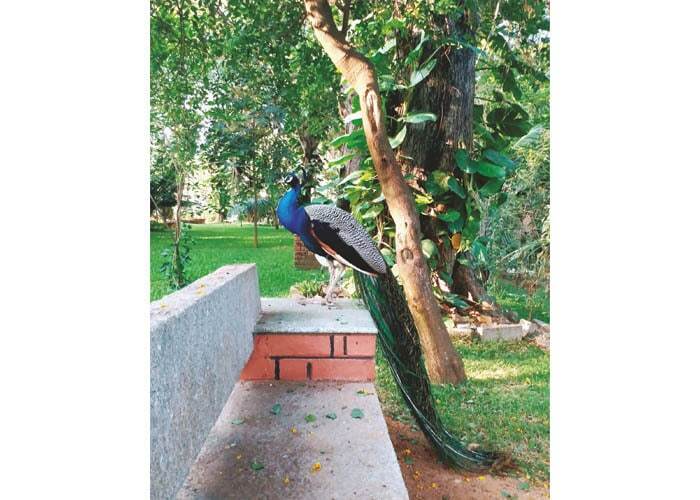 Two days ago as my wife and I were seated on one of the many stone benches there after our morning walk, we suddenly found that one very majestic peacock alighted at our feet almost startling us! It was so much at ease that I could pull out my mobile phone and click quite a few pictures of it pecking away, completely unmindful of our presence. Perhaps enjoying the importance it was getting from this photo session it decided that it could offer us a better pose and hopped onto the very bench we were seated on enabling me to almost take a ‘selfie’ with it!